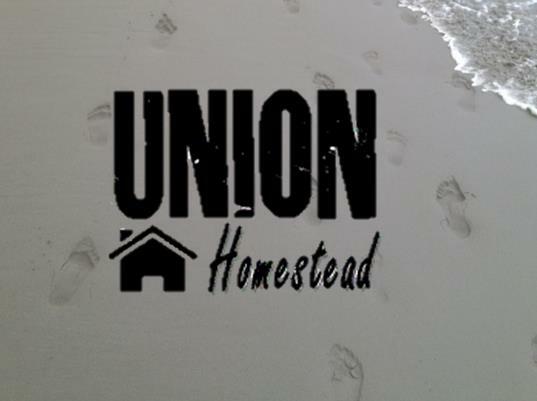 Not a lot got done on the Homestead over the weekend – but don’t blame us. This is the time of year that New Brighton becomes a full-on hot spot of global entertainment and it would have been down-right rude of us to ignore this and stay at home. On the agenda this weekend was Kite Day and the Buskers in Brighton (part of the World Buskers Festival). Kite Day is always amazing; some of those kites are huge, requiring anchoring to vehicles, some have twirly whirly bits, and all of them are pretty. There’s nothing like a giant Pegasus galloping hard out on the good ol’ prevailing easterly or a massive multicoloured fish staring soulfully out to sea from several stories up. We’ve even taken part a couple of times, chucking the Homestead excuse for a parafoil into the briny breeze, but these outings generally end in whatever it is that lurks at the absolute opposite end of the spectrum from Fun for the Whole Family. This is mainly because we only have one kite, it’s aerodynamically challenged (to say the least), everyone thinks they are the best pilot until they are standing with the string of power in their hot little hands, and you get over untangling the salt-sticky string very quickly. No, for us the appeal of Kite Day lies in the observation of the glorious plethora of oversized flying gizmos – and watching all those families way nicer than us having fun. Ambling up the beach on Saturday, we watched those for whom kite flying goes way beyond chucking a vaguely diamond shaped thing into the air and hoping it doesn’t dive bomb anyone larger than us. This was just a fleeting peek, however, as we headed off to watch the Homestead favourite busker: MulletMan, and the following act, Hula Queen (experience has taught us that sitting on the concrete steps in the noonday sun for any longer is a recipe for disaster). MulletMan is Christchurch’s local boy made good. Yep, we’ve seen the show before but the funny bits are still funny, the clever bits still clever, and it’s always fascinating to see the stuff that isn’t either of those two but still gets the laughs. Even though the wind (so essential for the kites) blew his fire-torch out, he still juggled that, a machete and a spanner whilst seated atop a very tall unicycle – and we loved him for it. MulletMan (and assistants sporting the essential mullets) looking super-styley in his ’80’s tribute outfit. Hula Queen was new to us but Farm Girl is a bit of a hula aficionado and was keen to check her out. Having scanned the reviews, we were slightly surprised to be introduced to a hugely talented Russian performer (complete with very thick accent) when we’d been under the impression Hula Queen hailed from Adelaide. Of course, this had no effect on how entertaining she was (which was very), how hilarious her patter, or breath-taking the skills she wove into her routine – it was just a bit odd. She also didn’t let the raging easterly put her off her grand finale (standing on her head, twirling a hula hoop on one foot, atop a two metre platform) even if a couple of us at least were more than willing to cut her some slack. Our photographer apologises for the quality of the shot; Hula Queen was so entertaining he all but forgot the mission with which he was entrusted. People often bluster about our gusty prevailing breeze so for one day a year it’s a breath of fresh air to have it celebrated and allowed to waft it’s way onto centre stage. We could go on about gusts of laughter and gales of applause but that would be labouring a point. It needs to be said, however, that the wind was definitely taken out of our sails when, undertaking a little googling research for this missive, we discovered a YouTube clip of Miss Eloise Green, Hula Queen, performing at the Edinburgh Fringe Festival with the broadest of Aussie accents you could imagine. How’s that for a “wind” up?! 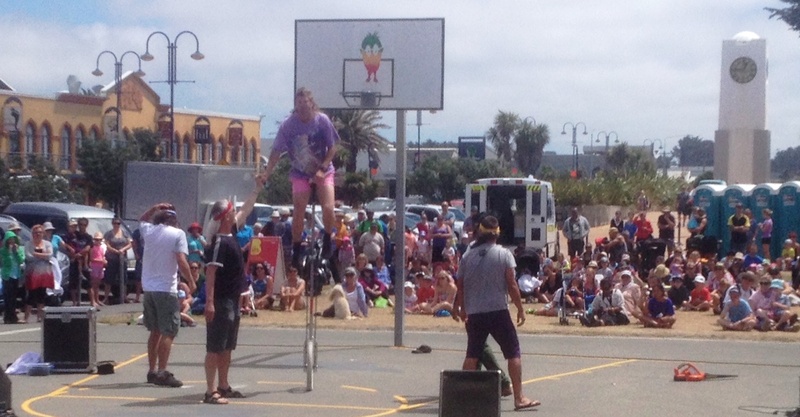 This entry was posted in community, Union Homestead and tagged Aotearoa, beach, busker, buskers, Buskers in Brighton, Christchurch, Eloise Green, hula hoop., Hula Queen, kite, kite day, kites, Mulletman, New Brighton, New Zealand, Otautahi, summer, summertime, sun, wind, World Buskers Festival. Bookmark the permalink. Sounds like you had a fun day. The hula lady must be very good at accents. What a wonderful day…and I love kites! Knowing the FarmGirl..I can see her out performing the Hula Queen after some practice! I like the wind up gag. Very neat. Looks like fun! I cannot wait for warm weather to return! What a great break from routine, right on your doorstep! 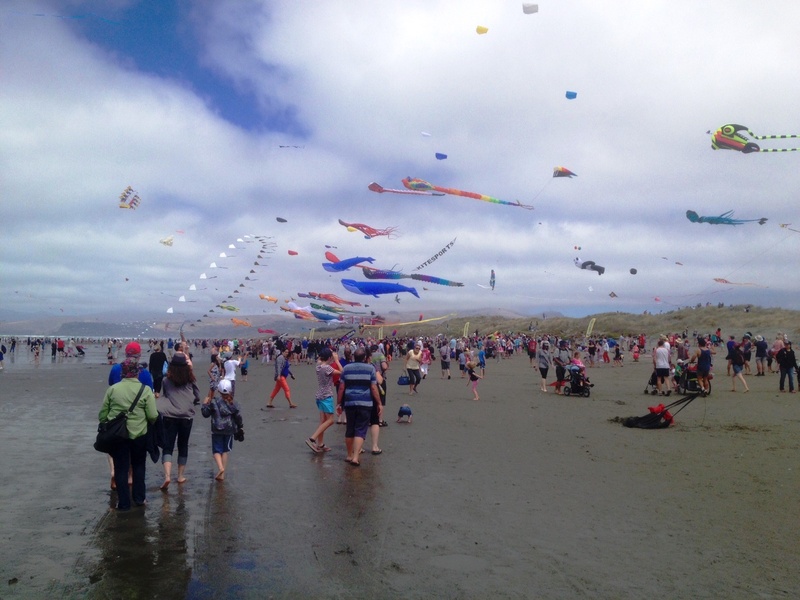 Never an ill wind…that beach is perfect for kite flying. Kite flying is not a happy family sort of activity for us, I’m not sure why, but it always used to induce a lot of bickering, unwanted advice and admonishment from parents, and general lack of joie de vivre. The girls take the kite to the beach or down the fields occasionally, but never for long, and never with us (I wonder why!). I don’t know why Mary Poppins thought Mr Banks would like it so much. Still, I love to watch people who are good at it, and the kites that exist nowadays – with several strings, several layers of kite, etc. Just amazing. Buskers! We love watching them too. There is some amazing talent out there. Mulletman…found him a few places on the web, I can see why he’s a homestead favourite (the mullet thing being a given :)). Our city seems to be a bit of a mecca for buskers too. I Googled yours and discovered ours on the same list – http://victoriabuskers.com/ We usually try and get downtown for it in the evening when it’s cooler I see from the lineup so far that we also have a hula expert coming, but a different one from the Hula Queen – however, also from Australia. 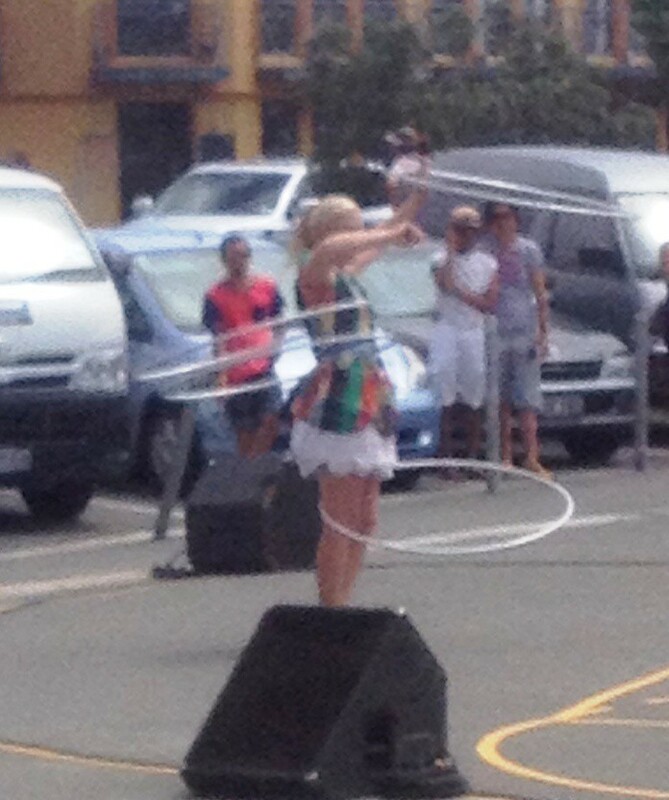 Who knew Australia was such a hotbed for hula? No Mullet man for us though..
A favourite here for years was Plaster Man – a fellow totally covered in what seemed like white paint to me, standing like a statue. If you put money in his hat, he would come to life and dance or move or something. I had a bevy of small girls with me one afternoon, and one of them (before I could stop her) put her quarter (25 cents) in his pocket, reaching her hand RIGHT IN. Only an 8 yr old would even think of doing this…she had not seen the act before and she leapt about 50 feet back when he came to life abruptly and swung down towards her – I wasn’t sure what he was going to do, but she was definitely way out of reach. He must have realized it was a small child who’d done it, because he resumed his more normal routine. Didn’t need to give that child any lecture, she totally learned her lesson. Deeply envious of that beach being so close to home, but I realize there must be a more or less relentless breeze/wind/gale most of the time. Do you get to spend much time down there? I’m very glad that we’re not the only family to be at each others throats within five minutes of untangling the kite string (again). I have a sneaking suspicion that the person behind the whole Mary Poppins “Let’s Go Fly a Kite” thing probably never had. Totally over rated, but very pretty to watch. Alas no MulletMan or Hula Queen for you, but did spot another of our favourites in your line up: Funny Bones. Love your blog and your take on Living the Good Life! Your goats are adorable, we have two pygmies. They blog as Goatiegoingson@Wordpress.com I must admit though Lionel is better at spelling than Marvin. Keep on blogging!